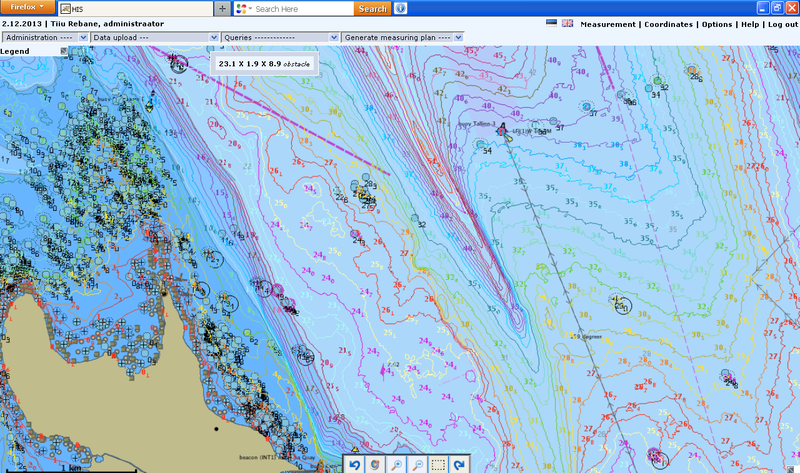 shares hydrographic data via Internet:. 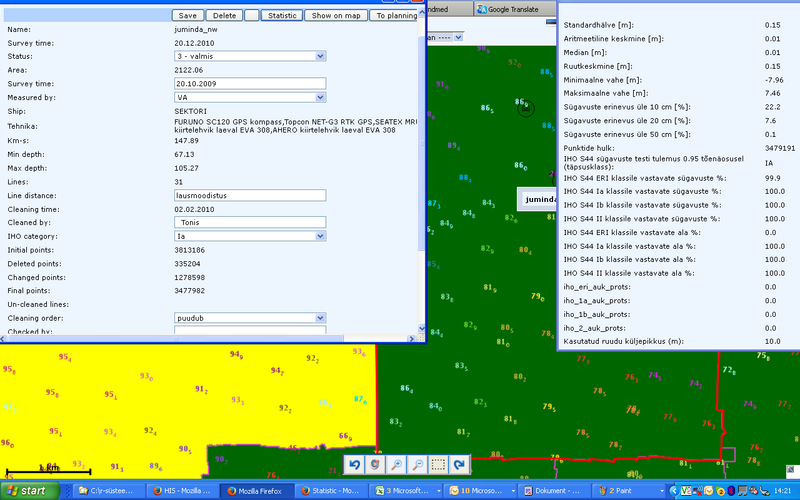 Soundigs are loaded into database mainly from packed XYZ files. Data is generalized with 5m step. Contours are generated for this scale. Data can be loaded directly or by writing it in dedicated directory which is accessed and proceeded nightly. Data is downloaded by Cartographers with freely selectable scale and contouring. Area to download is also freely selectable. 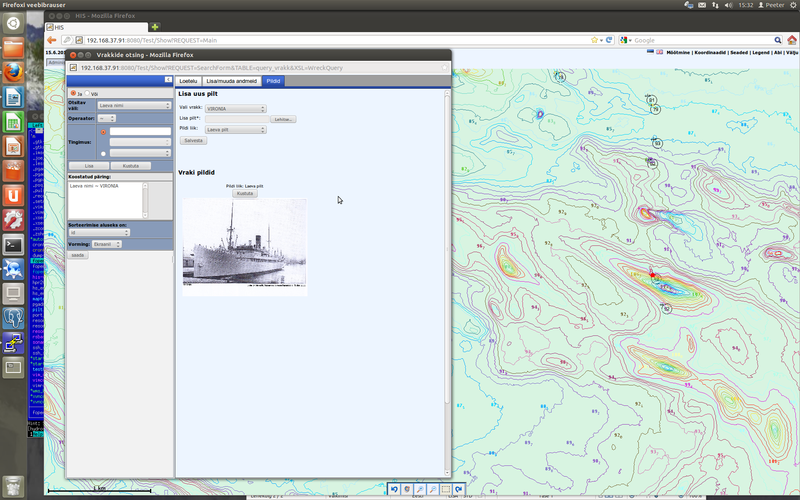 Other hydrographic objects can be added to the download bundel. 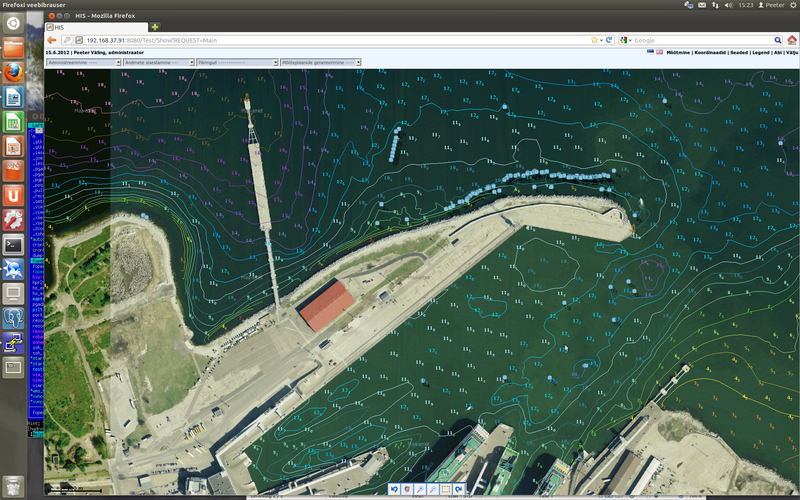 If all hydrographic data is properly loaded into database Cartographers need to add waterways and map is ready. 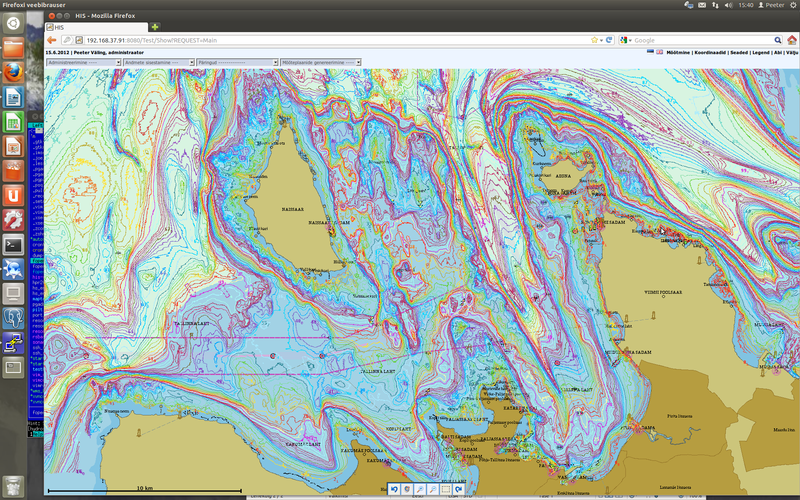 Database for hydrographical info (survey areas, depths, underwater objects, contours) + storage of raw data. Access to survey data for data cleaning and validating (raw data files). Access to information about stored data (like detailed info about wrecks) + metadata. Servers are located in different houses. 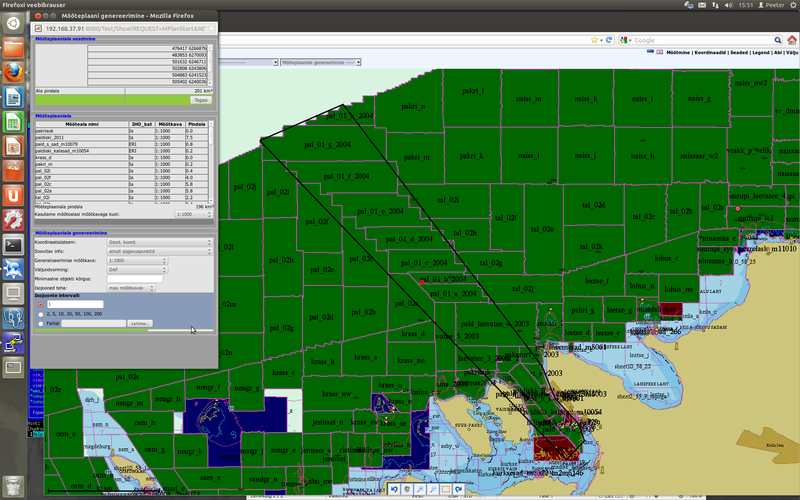 Areas can be shown, selected, queried and managed in many ways. New – previously non-planned areas can also be easily loaded. Surveys from different surveyors are stored in database as well. Raw data (packed survey areas) are stored in file structure and accessible over web interface. 2 Databases : MAIN and SEA. 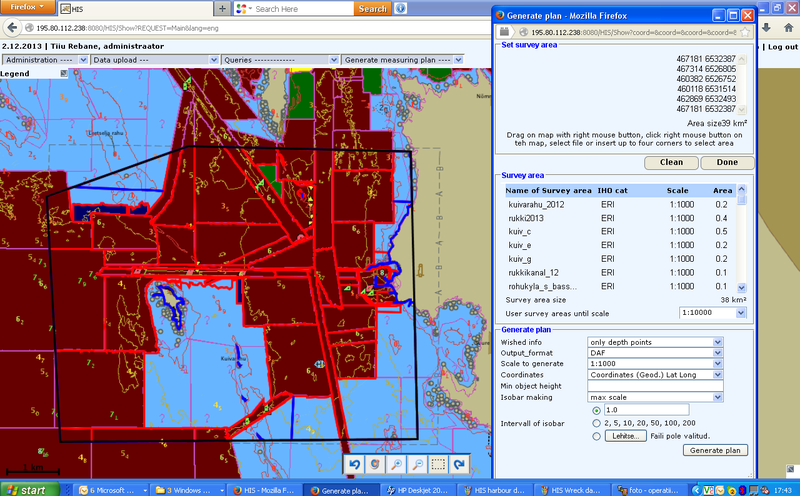 SEA database contains only soundings (at approximately 5m resolution) and apropriate contours. Sounding suppression and contour generation is done automatically. Contours are based on TIN-s. All managed area is divided into cells (10x10 km). Queries from sea database are based on cells. Data can be displayed and downloaded over web interface. Data are stored in different scales (each depth has flags about showing in particular scale or not). Therefore zooming in and out means changing scales and loading only relevant data. Three levels tiled-cash is used when data is displayed. 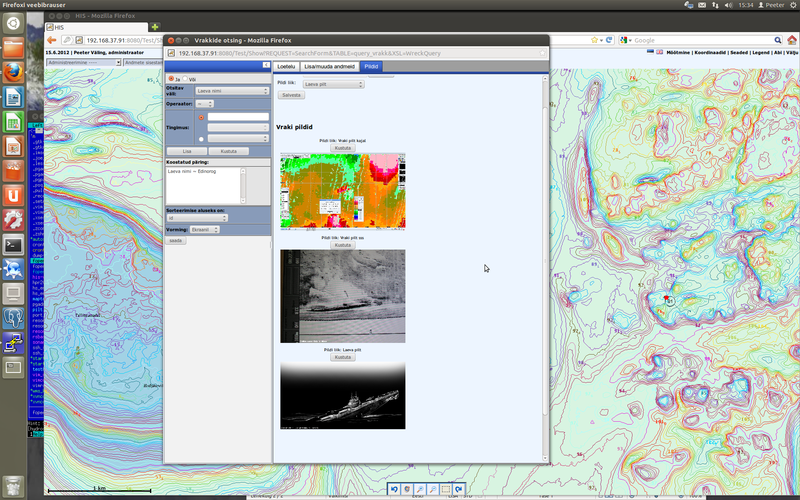 Depths from new survey areas are automatically added into cell structure (relevant cells updated) and contours from these cells are newly generated (including 1 km area around cells). 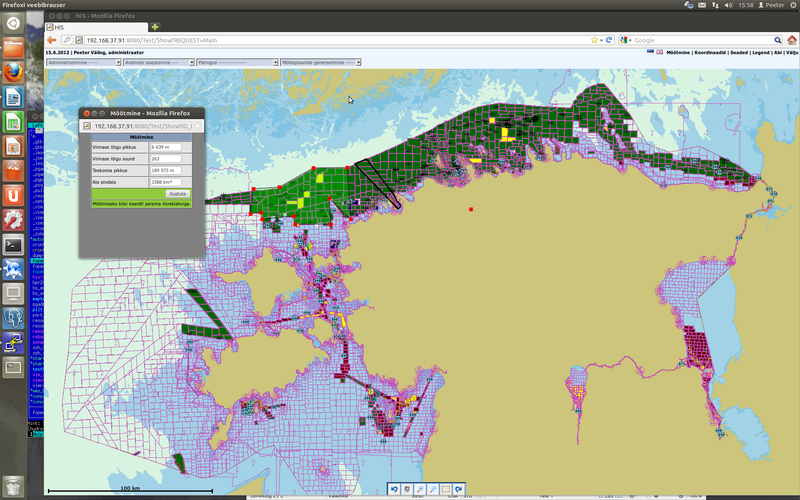 Depths and contours from SEA database will be open for free public use. Max area has not been decided yet, probably around 2000 km2 for Estonia. 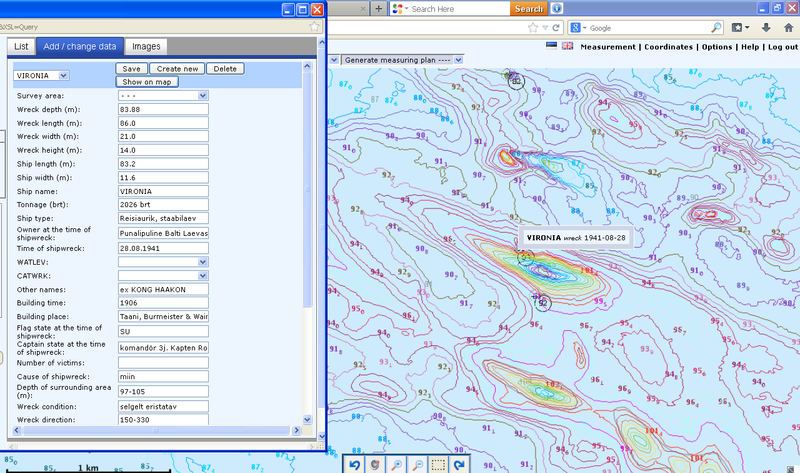 MAIN database : All other information (areas, objects, more dense soundings etc.). 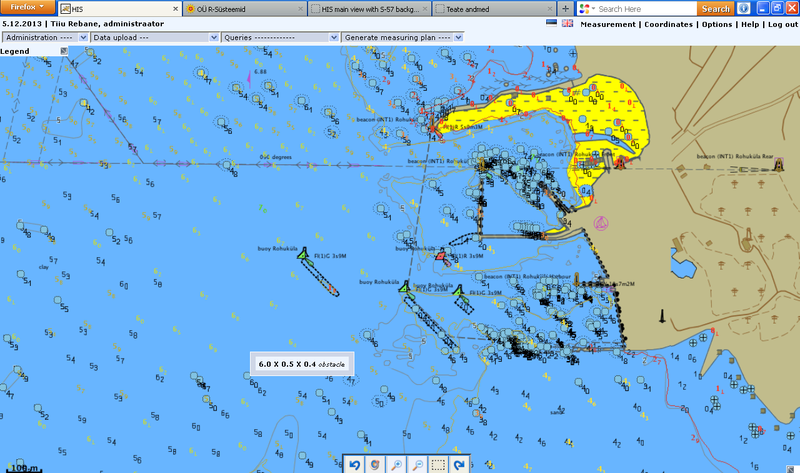 Soundings are stored in Main database approximately in 1m resolution. Data can be downloaded in different formats, scales and categories (only soundings, only objects, soundings+objects+contours). 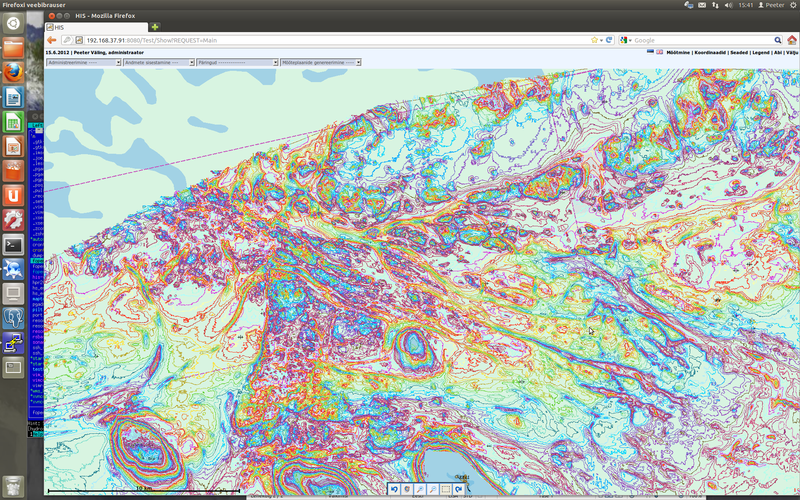 Data suppression, contour generation and final map compilation is done during download automatically. Max map size can be 400 km2. 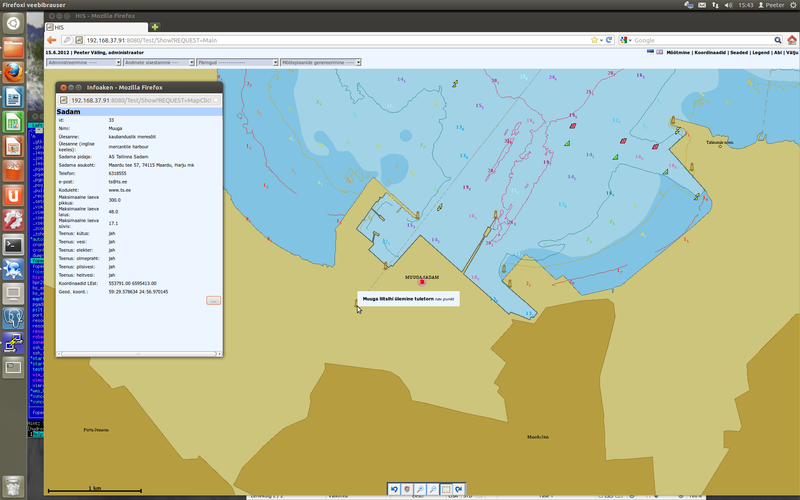 Depths from Main database can be used in Estonia only by Estonian Maritime Administration workers. 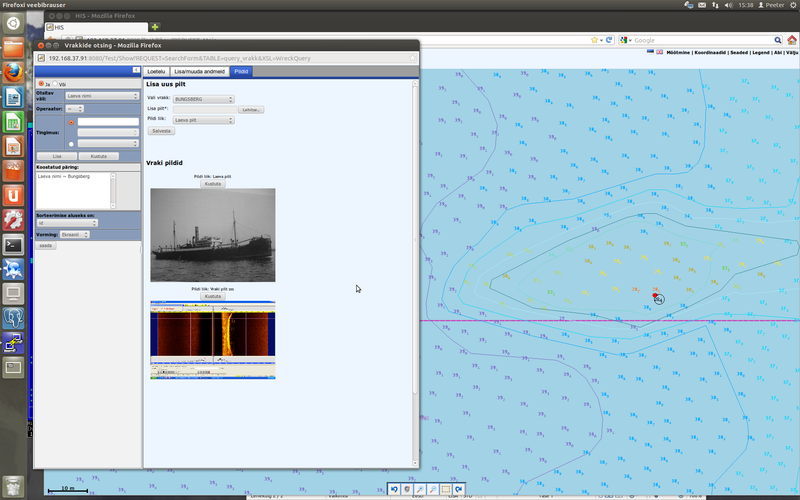 In Estonia, links have been established to other databases (Harbours and Navaids), so data from these are shown in HIS web interface as well. 3 Backups : Database backups are automatic from main server to backup server using PostgreSQL feature „synchronous replication“. This means that any change in main database is automatically reflected in backup database about at the same moment. Raw data + system are daily automatically backed up by rsync from main server to backup server. 1. 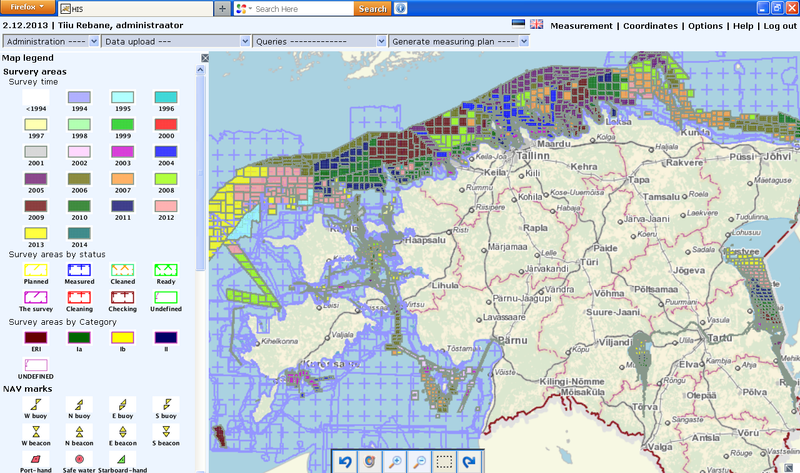 Layers : base map (general sea chart, land charts and ortophotos in Estonia over WMS from Estonian Land Board, S-57 maps from PRIMAR) , survey areas (status, survey time and IHO S-44 orders), wrecks, rocks/obstructions,navaids,harbours,depths,contours. 2. Features : zoom, pan, click on objects brings up info about this object, tooltips (hovering mouse on objects brings small info about underlying objects), measuring, coordinate key in etc. 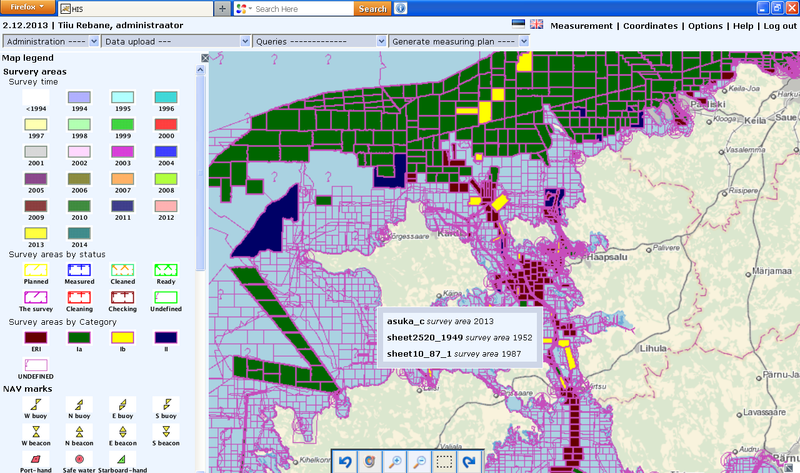 Query constructors (like „select all survey areas form year 2000 and surveyed by some company and with IHO special order etc.„ ) for all object types excluding soundings and contours. 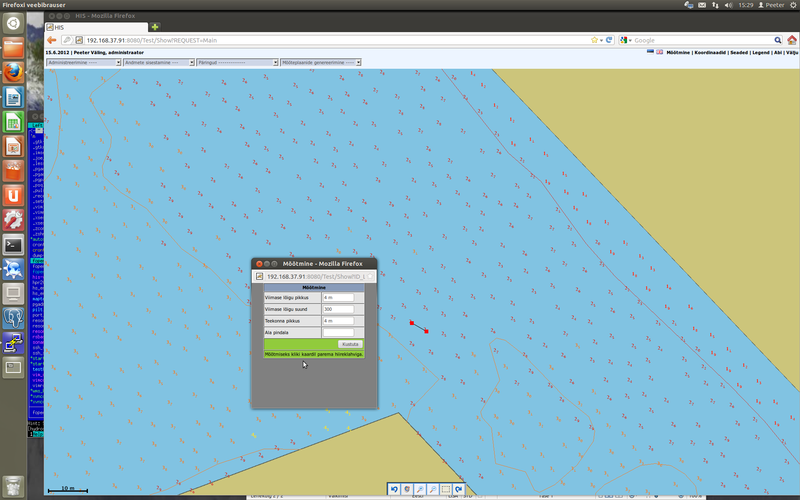 Queries can also be restricted by definable areas (drawing on screen or key in coordinates). 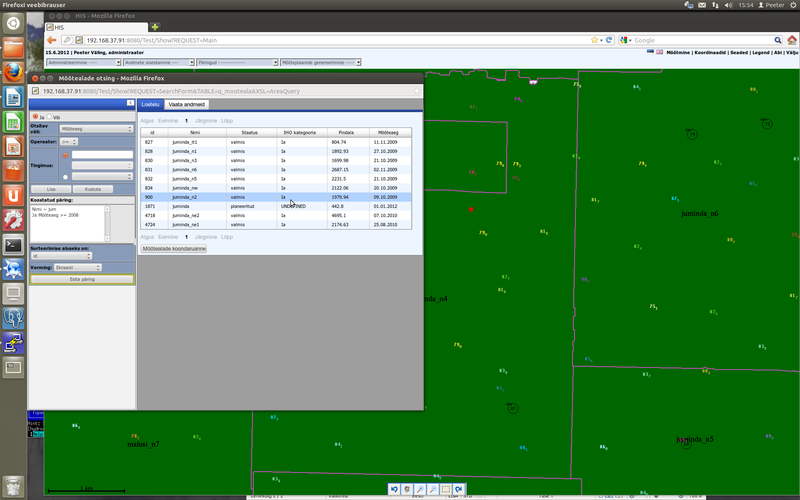 Query results can be sent to different outputs (screen, csv file, dxf + some others).